SUCCESS STORIES Make You Succeed in Your Niche! Success Stories Empower You to Succeed! A new season to write your own SUCCESS STORIES has arrived! This season begins always every year starting from December. Think that December is 7 months ahead from April? Think again. Just look at how the years nowadays are running so fast… just in a flash. Some people, in fact, start it from May or June, preparing for the New Year to build continued success for years to come. Well, I'll say definitely that preparing could be earlier. Consider a month as a week, so you could use your time effectively to prepare your business planning and the schedule condensed to meet your goals at the deadline. You know of course that inspiring stories about the success of other people are good examples to read and focus on the topics of interests those people have succeeded to achieve. We always read these stories of success to help us focus and maybe follow the steps they followed to achieve that success and thus write our success stories. Therefore, read this page for two reasons. The first is to help you learn from others to succeed. The second is to write your success stories, so we could all learn from you. This is quietly of multiple virtue. So, if you are a successful person offline, take the second virtue to help yourself and other readers achieve success by only converting that offline success to an online success. Get Inspired by Some Success Stories! At this important station in your life your own personal experiences are of much values compared to other personal experiences and all of that could help. So, you may need to get back to review the whole past year and evaluate your performance. You should have the mindset to organize yourself and look seriously to answer the following questions. Prepare a document to write your findings down and then study them one by one. Think of what you have missed and what you have done perfectly, as expected. What was you greatest success? How you did you achieve that? What have you failed to achieve? Why have you failed to achieve that? What circumstances that prevented you from achieving your goals? How do you conquer those circumstances? To think about what you want to achieve from now on, so you could also have success stories to tell your family, friends and other concerned people, or the world about, you may need to think of answers to the questions above and more highlights to the following questions. What is your career Aspiration? What are your monthly income expectations? Take serious attention to those questions as they could help you achieve your success and avoid anything that prevents you from achieving your personal success in whatever field you are in. The "Choose It" tool I mentioned on the linked pages here could have you fly when you use it while answering these questions, as you can feed it by some relevant questions and interests, so she could become stuffed by answers and satisfy you by bringing good answers to your searches. Permanent and Seasonal Success Stories! Every season we have SUCCESS STORIES coming to the lights! We have some people here who are making every-day-success, not only seasonal-success. However, those people enlighten us every year by their success-stories. I enjoy reading those stories for more enlightenment on my way, while and whenever I do something. That is because I think I have great examples here. Their stories may enlighten your way to achieve your personal success too! In our daily experiences, we know that personal success stories not only enlighten the way to success, but they build confidence and enthusiasm for us to fulfill our dreams or those positive changes in our lives. It is not just in America (when following the American dream) or in any other country in the world that every body needs a change to conquer any expected economical crises. We need also some changes to improve the way we are living, get that dream home, achieve success and be proud of our achievements. We absolutely will need some partners in success to help us too. Therefore, the end of the year is always a moment to rethink again of our performances and to evaluate what we have achieved during this year and what we have failed to achieve. If something goes wrong, we may need to get into some personal improvement seminars to help us step right. Follow the lines below to read some great success stories and start learning from free resources. This is absolutely e-Learning College online we have in the Ezine Act's network. Jim Nelson is a full time teacher at Thomas More College. However, he achieved one of his success stories with his website jugglenow.com, which is not about his profession. His success story with that website which is not about college education is the best example to endorse the tools he uses to build this success... and not only that, but it proves anyone can use his other interests, each in its own website to attract interested people in that topic and make a living online. It is more than just a testimonial, when it comes to the strong tools he uses to discover how to build a foundation from something as simple as juggling he loves and enjoys. People like Mr. Jim are inspirational models in this regard, others could model their success, starting from something they know much about it and enjoy doing. Then that thing becomes a product. Then they simply sell that product to interested people. But how to know the richness of that thing you enjoy doing? Again, we come to the same strong tools that make it happen. Continue one of his SUCCESS STORIES at the case studies here. Jerry Mack is a dedicated golfer and traveller. He decides always to enjoy the fruits of his labour every year by enjoying a whole lot of both. Meanwhile, his medical equipment business continued to chug along steadily, producing both leads and sales on pace every year... even in a recession with near-zero maintenance. Yes, he worked to build it up, but again... the staying power is phenomenal. Read one of Jerry's success-stories at the case studies too. You can of course read more stories of success there and enjoy expanding your knowledge. I guarantee, you will know more and even be perfect to model their success, so you could write your own success in stories like these stories you have read. When you were O.K. with your thoughts, feelings and those new things you read, embrace the following image. It is hot and it helps you change your thoughts, change your life and achieve great success. So, CATCH YOUR DREAMS. 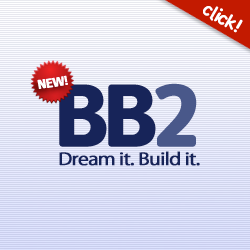 ... and order it to build that dream as REALITY SHOWS here. 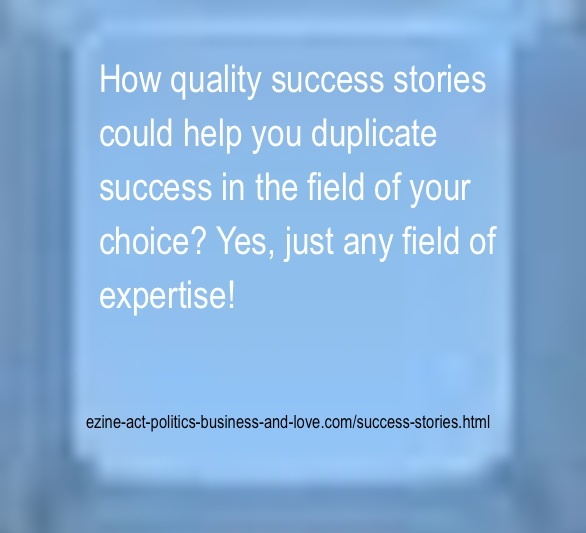 Share success stories with your social media and other services through the small buttons on the page, or pin one of the Ezine Acts Pictures on this page and at the Ezine Acts Galleries, Ezine Acts Photo Gallery and Pictures for Your Website. Thanks.